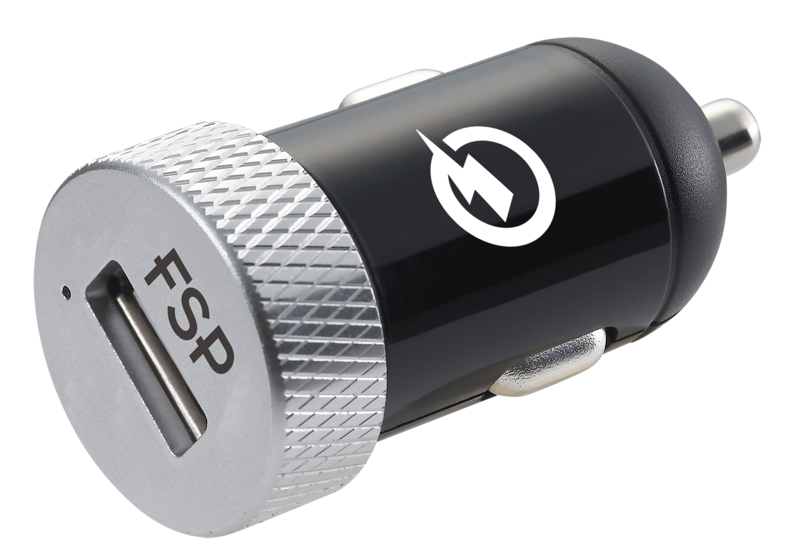 FSP Shining 16 car charger is certified by Qualcomm’s standard class A. 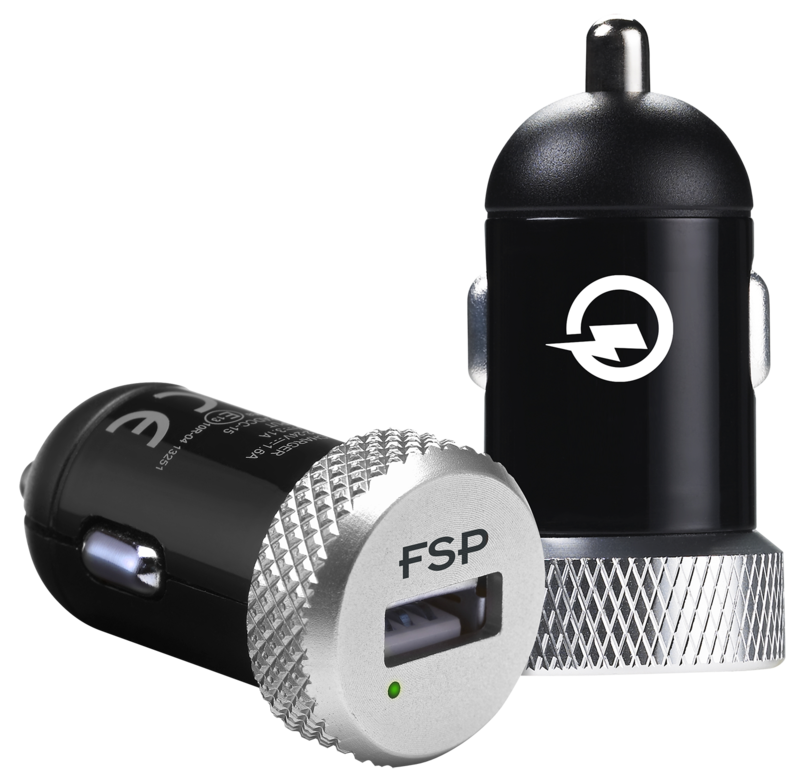 When it charges a QC 2.0 enabled device, it can charge up to 75% faster than normal ones, and save your precious time. 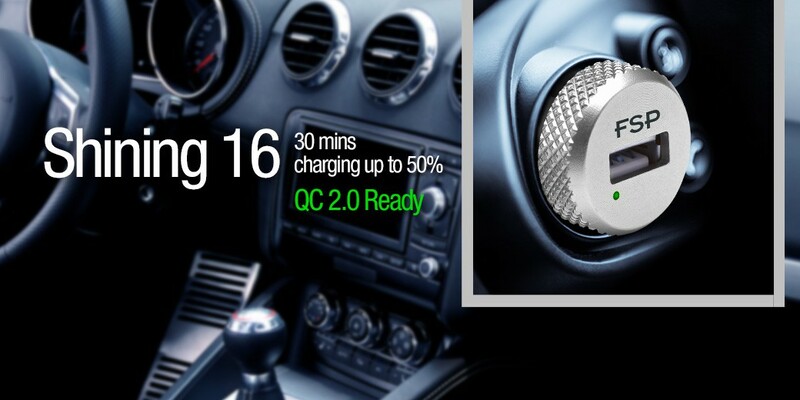 A QC 2.0 enabled device goes up to 50% charge in 30 minutes, never fear running out of power from now on. 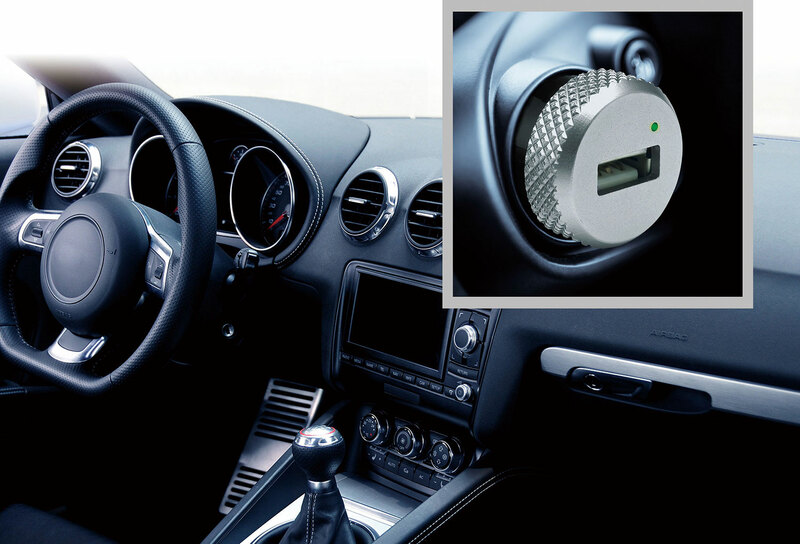 *The figure might be changed in different charged-devices. 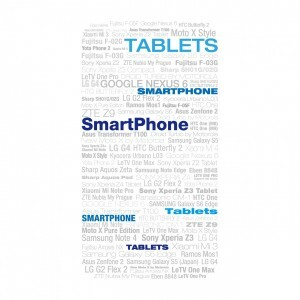 Check out if your phones or tablets is on the list of QC 2.0 certified devices. 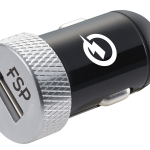 No need to find another car charger for each car! 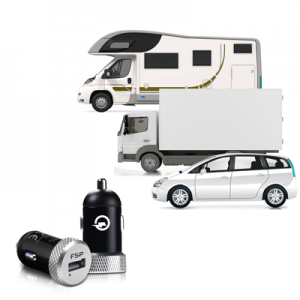 FSP car charger features 12V-24V which means it works for all kinds of cars. 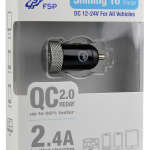 In laboratory tests, the results show that the QC 2.0 car charger is 75% faster than the normal one when 100% fully charging a QC 2.0 enabled smart phone. 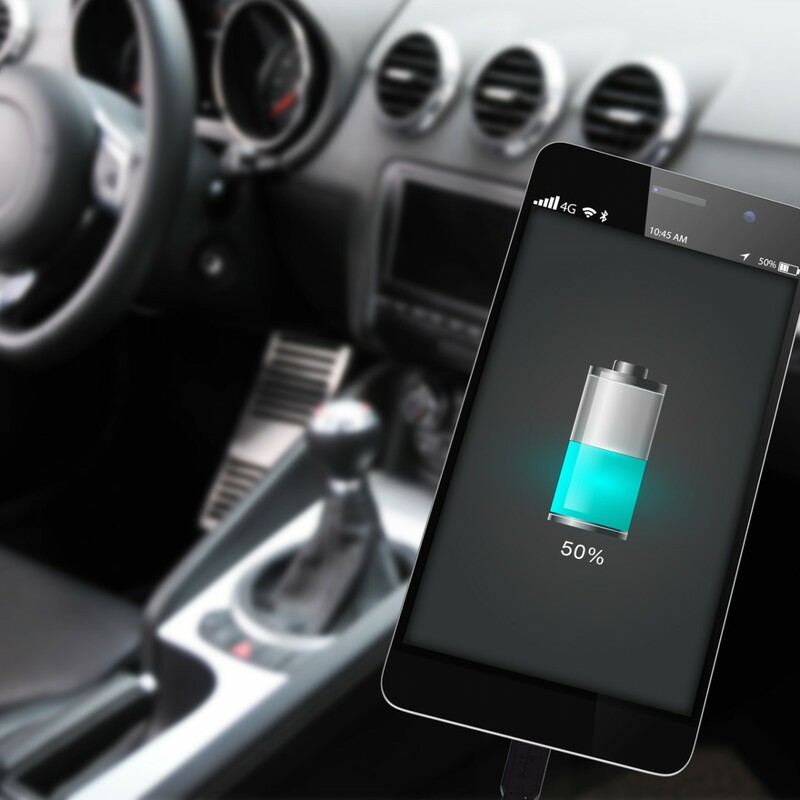 It takes not even 3 hours to fully charge your device. 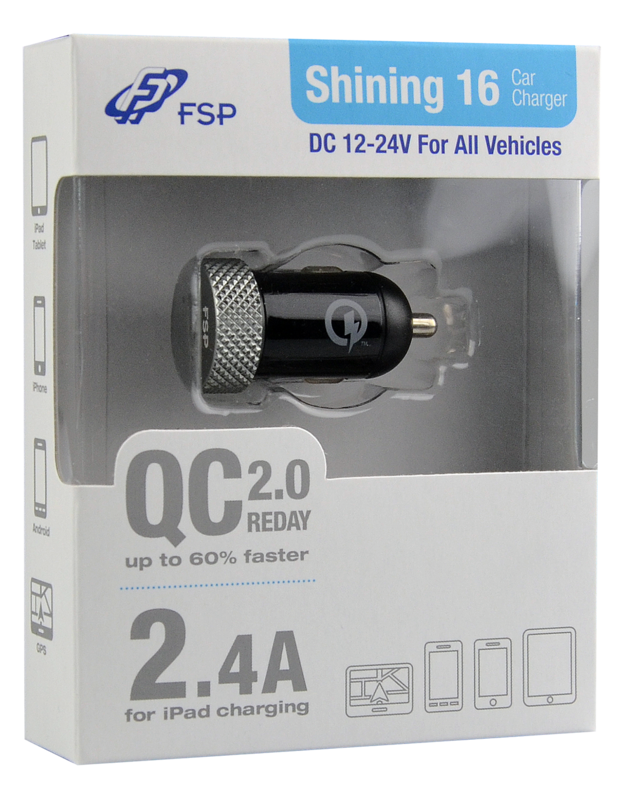 *Qualcomm® Quick Charge™ is a product of Qualcomm Technologies, Inc.
*Qualcomm is a trademark of Qualcomm Incorporated, registered in the United States and other countries. 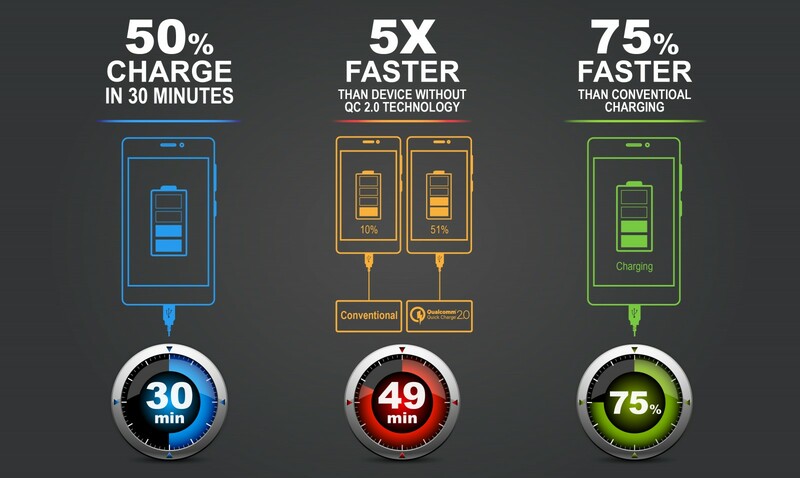 *Qualcomm Quick Charge is a trademark of Qualcomm Incorporated. 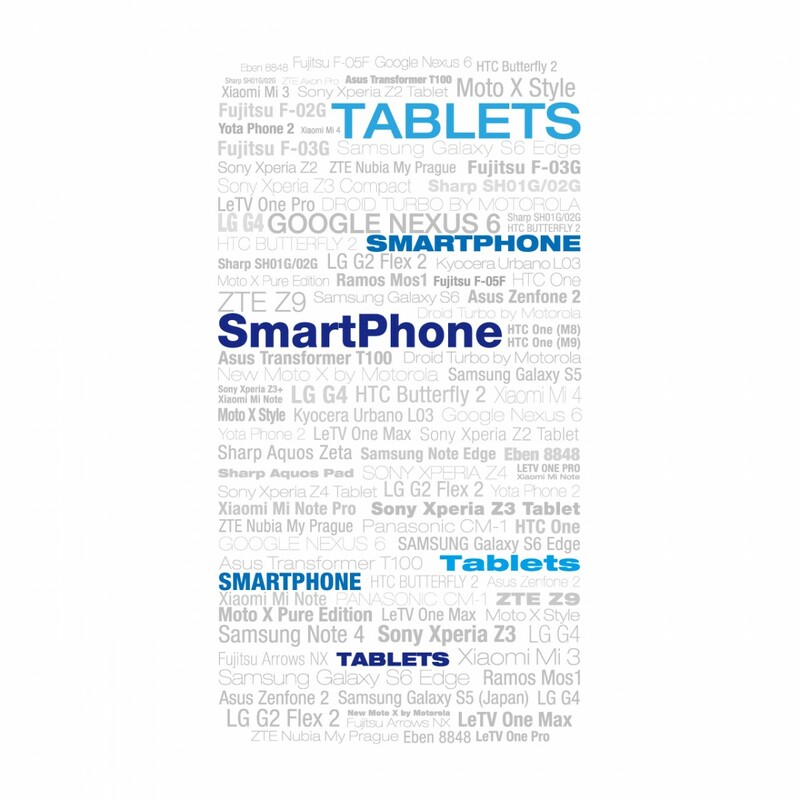 *All Qualcomm Incorporated marks are used with permission.